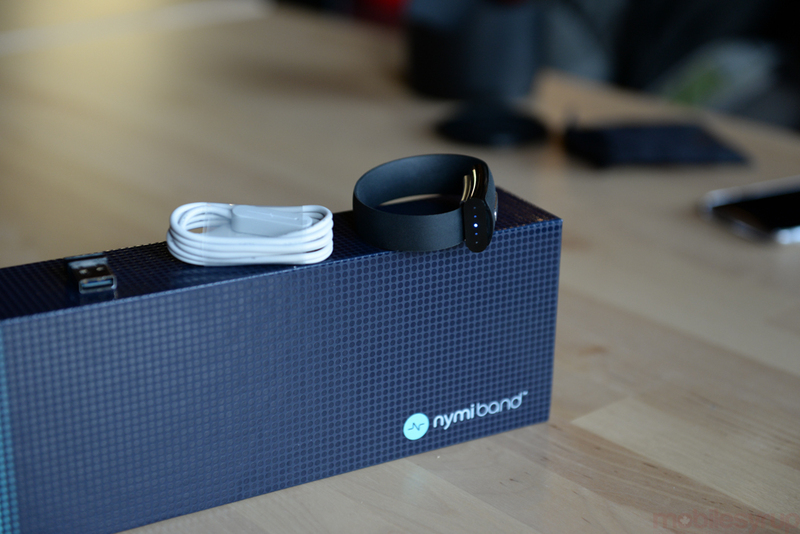 The Nymi Band is one of the most anticipated wearables of 2015. The wristband, which promises to do away with passwords and pins by using your heartbeat, has a lot to live up to. 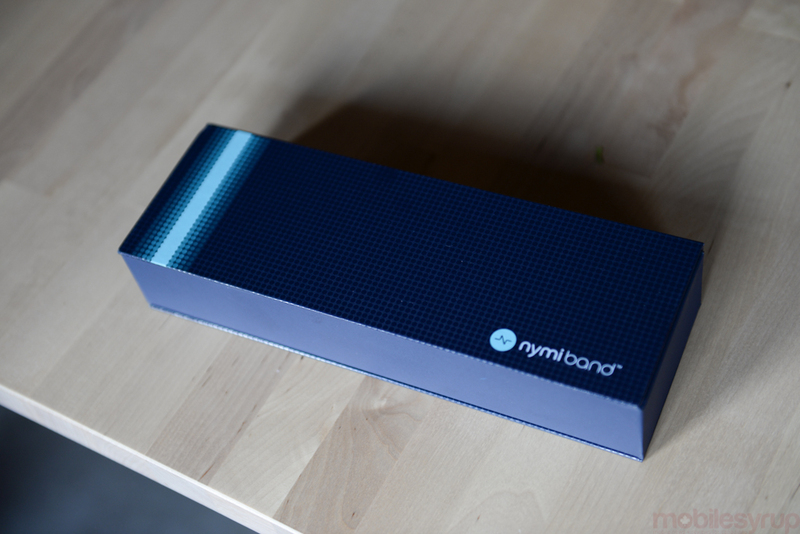 I finally got a chance to go hands-on with the final version of the Nymi Band, which is being shipped out to developers as part of a Discovery Kit. Did the Nymi band deliver on its promise to unlock the connected world using cardiac rhythm? For PC users, yes! But it’s clear that there is a whole lot of work to be done in building an app ecosystem before fully realizing a world controlled by one’s heart. I am a sucker for a nice looking package and Nymi definitely pulled out all the stops on its box for the Discovery Kit. The packaging is well-designed, right down to the detail in the way the outer sleeve catches Nymi’s signature blue colour to create a subtle movement when removed. 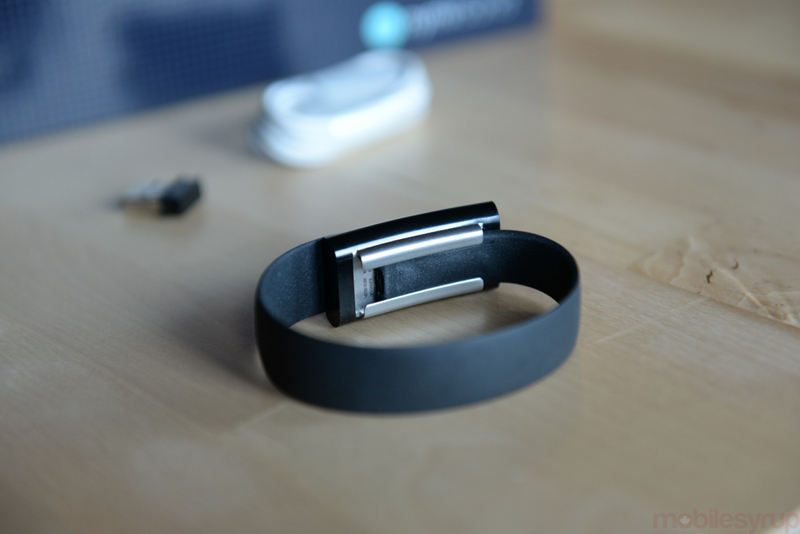 Inside, the Nymi Band immediately greets you, laid out long and securely housed in its own compartment. Underneath the band is a drawer which pulls out and contains the charging cable and the Bluetooth module. The white charging cable is proprietary, using a standard USB on one end and a magnetic charging end which connects to the Nymi. If you are familiar with the Pebble charging cable, this one looks similar. Nymi says to expect a five day charge for the band, and that it should only take about two hours to ramp back up the energy for another working week. The Nymi band has a very simple design which doesn’t try too hard to act as a fashionable piece of jewelry, but also doesn’t fight with what you are wearing. The nylon band has a matte finish and features a brushed metal electrode which sits at the top of the band when clasped which ends up being somewhat of a detail to the accessory. The Discovery Kit band only comes in carbon (black) but the consumer release will also include frost (white) and lava (red-orange) color which might give it more flare. The band is just one part of the Nymi. The other, what Nymi calls the core, houses the second electrode which sits against the skin on your wrist. It also contains an accelerometer, gyroscope, haptic feedback motor, and most importantly the crytopgraphic hardware (or Nymi Magic, as I like to refer to it). On the side of the core is a series of five LEDs which blink blue in a series of patterns to communicate to the user. The core also doubles as a holster for the band, and the band can be pulled in and out of the holster to make some minor adjustments to the size. The Discovery Kit band only comes in large but consumers will be able to select one of two sizes to better suit their wrists. As the band itself contains an electrical circuit which detects continuity, users are not able to cut the band to make it smaller, as this would permanently deactivate it. Of course, the loop in the band is by design so that if someone rips your Nymi band off or if you take it off yourself, the authentication process stops, keeping your connected devices secure. The Nymi band is very flexible, almost snake-like. I did find it slightly awkward to put it on. As the Nymi band is very flexible, almost snake-like, I did find it slightly awkward to put it on. Trying to hold the core on your wrist with one hand while attempting to flip the rest of the band over your wrist to connect it using the magnetic clasp was trickier than it needed to be. But, to be fair, so is putting on some expensive jewelry with hook and eye clasps, or some high end watches with metal clasps. When on, most of the band has a relatively low profile and the nylon material feels comfortable, almost silky against your skin. The band material is a stark difference from the rubbery plastic I saw the early prototypes use when I had the chance to wear one at a developer hackathon last year. But the point at the top of the band where the band and the core connect is fairly bulky and sticks out quite high on your wrist, especially when compared to other bands out there. The top of the band sits just as high as a smartwatch, but since the Nymi doesn’t have a screen this protrusion is more noticeable than it should be. Getting started with the Nymi was very straightforward, quick and easy and revolves around the use of the Nymi Companion app. The Companion app allows you to interface with the band and is where you will manage applications which use the Nymi for authentication. Right now, the Companion app is only available for Windows users, but Nymi has plans to launch a Mac and Android version as part of its rollout this year. 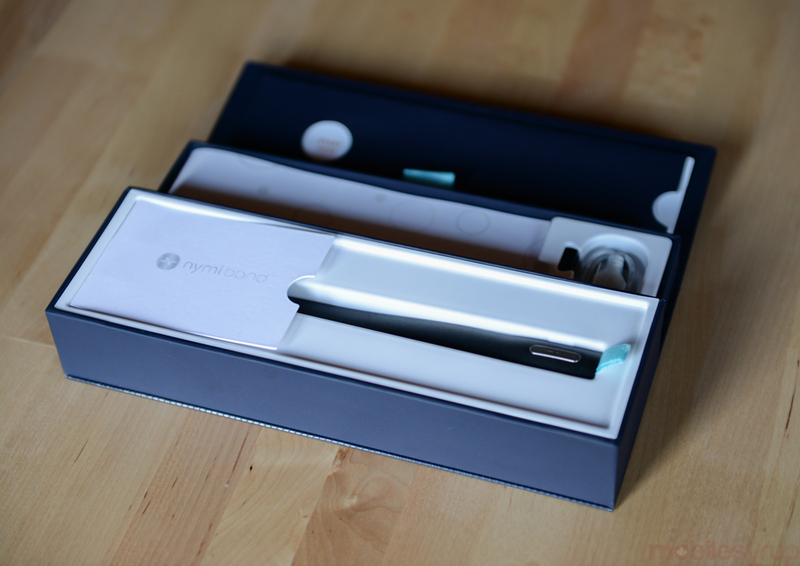 The first thing you’ll need to do with the Nymi is to bind it to yourself by creating your biometric template using your cardiac rhythm. It sounds painful but it isn’t. With the Nymi band on, and the USB module plugged into your PC, you will be asked to pair your Nymi device via Bluetooth. Once paired, the Companion app will then ask you to create a circuit by placing your finger on the sensor at the top of the Nymi. Once your finger is in position, the Companion app changes to show your heartbeat in action and confirms that it is creating your biometric template. When it’s done, the band vibrates and also asks you to create a recovery password in case you have issues with the sensor in the future. I was pretty impressed with how quickly the template was created when I saw the unit in action. The process only took about a minute or two, which is really nothing seeing that you only have to do this once. Well, that isn’t entirely true. Nymi has added an advanced area within the Companion app which asks you to improve your profile by creating circuits in different states such as a different times of the day or in various posture so that the Nymi can work better for you. 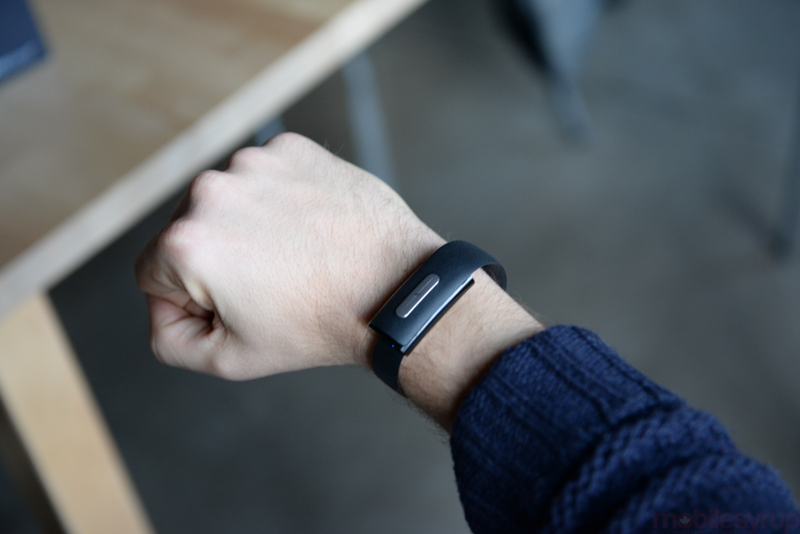 The Companion app is needed every time you put on your Nymi band in order to activate it. But once the setup is complete, the activation, which is done in the same way by creating a circuit with you finger, only takes seconds. Nymi realizes that having to open an app on your computer to activate the band isn’t the most useful use case in a mobile-centric world, which is why an Android version is on the roadmap. Out of the box, the Nymi currently only has two apps: the Nymi Companion app, which I talked about during setup, and the Windows Unlock app. The Windows Unlock app is exactly what you would expect: a client that you install on your PC to let you unlock your computer with an active Nymi rather than your password. The fact that there is really only one app for the Nymi out of the box shouldn’t concern you. Once your Nymi is set up, you open the Unlock app and find your Nymi via Bluetooth. The Nymi had some difficulty in getting into pairing mode, but after a couple of tries the app found it and asked to confirm the LED pattern shown on the band. Once paired, the Nymi could be set up as the default way to unlock the PC. In giving it a try once set up, it worked without a hitch and quickly too. More importantly, testing accessing the same computer with the Nymi off failed and resorted to needing the traditional password to get in. The fact that there is really only one app for the Nymi out of the box shouldn’t concern you. It’s actually the main point of the Discovery Kit, which is not aimed at consumers but the developer community instead. The goal of releasing the Discovery Kit to those developers is to give them the tools to create applications for the Nymi to prepare for the consumer launch. In this way, Nymi has taken a page out of the same playbook fellow Canadian wearables startup, Thalmic Labs, used for the release of the gesture-control armband, Myo. 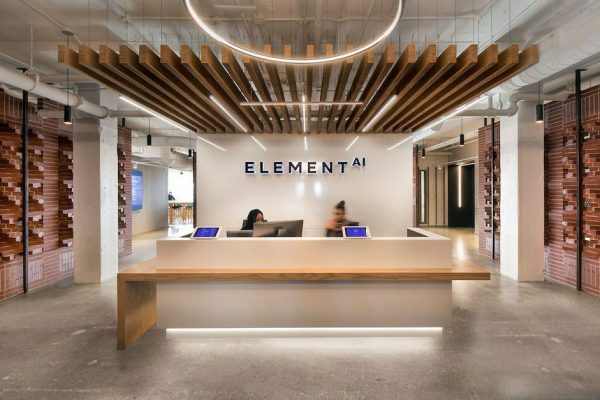 Both companies pushed out their consumer shipment date to first focus on getting devices and SDKs in the hands of the developer to both create the necessary app ecosystem to make the device worthwhile, as well as to work out any software kinks to refine the experience for the end user who has a lower threshold for bugs and glitches. What’s really exciting is that Nymi’s SDK gives developers access to everything in the core, including the accelerometer and gyroscope, which could be used for gesture control and gesture sensing (e.g. step counting) and of course the identity and security features that are unique to the device. Nymi has made it as easy as possible to swap out the traditional password for the Nymi in an app, which will be key, as the more apps that use Nymi to authenticate the more the value proposition grows for the end user. Outside of leveraging the developer community, Nymi is working with some major partners on some applications. They have previously announced their partnership with PasswordBox and a wearable payment pilot with RBC and Mastercard. Nymi confirmed with us that we should expect much more in 2015 although they couldn’t say what these partnerships are at this time. I left the Nymi office even more excited than I had entered. The potential for this device is huge, and for someone who loathes passwords and having to repeat fingerprint scans every time to unlock a device, I see the value of this wearable immediately. I was happy to see that the band showed few bugs and most importantly did what it said it would do, unlock a device with my heart. As a non-developer and a Mac user, the band right now is pretty useless, but that’s just because Nymi is getting started with building out its app ecosystem. I have no doubt that the developer community and Nymi partnerships will close the gap on this quickly and deliver a number of “killer apps” to keep the Nymi on my wrist daily.